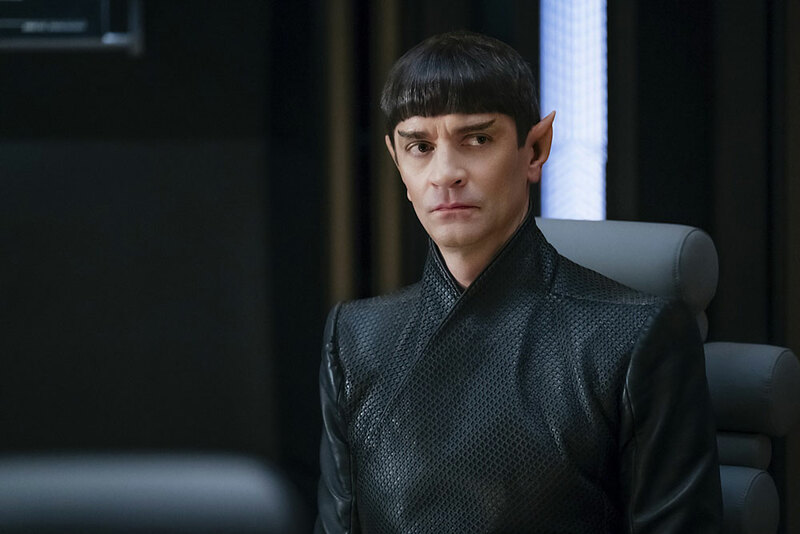 This week saw Star Trek: Discovery pump the brakes after last week’s intense conclusion to the show’s romp through the Mirror Universe. 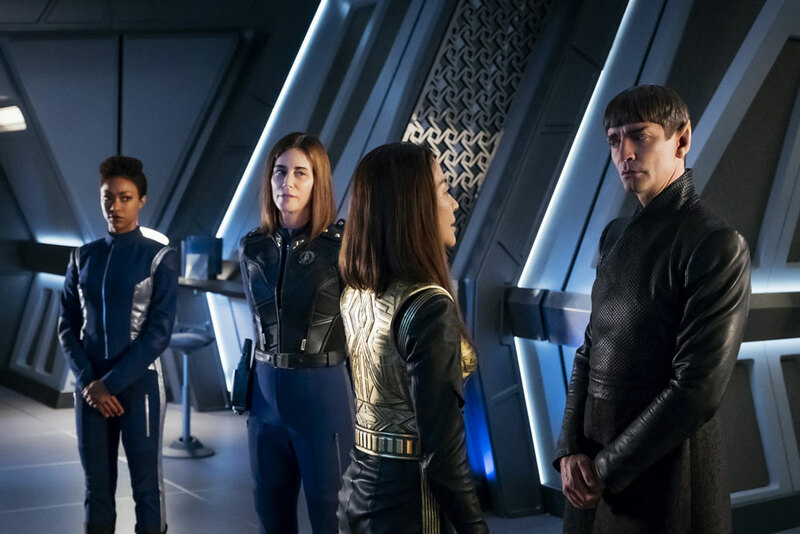 While some might not enjoy slower-paced episodes, considering how adept Discovery has shown itself in keeping a fairly consistent pace through this season, “The War Without, the War Within” allowed some substantial character moments to occur before the surely action-packed season finale. While we received a briefing on the state of the Klingon War at the end of “What’s Past is Prologue,” the most pressing sign that the war was going so poorly came in this episode introduction. After Sarek boards the Discovery with Admiral Cornwell, he immediately forces himself on Saru to ascertain the status of the ship and her crew. We’ve been taught that unwanted Vulcan mind melds are a serious breach of privacy and security to the meld’s recipient, so this aggressive action was a sobering “show, don’t tell” moment for describing the Klingon War in the nine months Discovery jumped forward. Meanwhile, after his notable absence from last week’s episode, Ash Tyler returns, finally freed of Voq’s influence. Not that some severe emotional wounds remain from his torturous experience, wounds that ultimately lead Michael to cut Ash loose. For her performance in this episode, Sonequa Martin-Green had plenty to do, between dealing with the presence of the Terran Georgiou and the reemergence of her irreparably changed lover. The emotional blow Michael deals with in this episode is a sympathetic experience for the viewer; to have a Vulcan-raised human reach out and connect with someone and fall in love, only to have that connection brutally ruptured by such outstanding circumstances – it’s an intriguing and complex character arc that both Martin-Green and Shazad Latif continues to display with grace and intensity. Another illustrative character moment came during a brief corridor encounter between Stamets and Tyler, the latter of whom killed Stamet’s partner, Doctor Hugh. Stamets actually proves to be more forgiving of Tyler’s situation than Michael, as he asks Tyler if he feels guilty killing Hugh. When Tyler answers in the affirmative, Stamets takes this as a sign that Tyler is “still human.” It’s a remarkable stance to take after such an ordeal, and it helps show how far Stamets has come from the ornery engineer we met at the beginning of the season. Of course, this forgiveness doesn’t help resolve Tyler’s suffering, and once again Latif is a standout cast member, perfectly expressing Tyler’s self-loathing, guilt, and in a surprising scene, frustration toward Michael for her abandonment. And speaking of surprising scenes, the plan the Discovery crew conjures for an attack on Qo’noS is certainly out of left field; flying a starship through caverns to map the planet’s military defenses is a startlingly tactical solution – a solution that doesn’t really feel like Star Trek. One might assume this plan would never come to fruition in light of Emperor Georgiou’s presence on Discovery, but the teaser attached at the episode’s end does indeed show this plan being executed. And because the crew needs to get to Qo’noS, they need more spores, which is when Stamets goes all Carol Marcus on a desolate planet. It was fairly easy to terraform an entire planet with those spore drills, wasn’t it? Despite how pretty the sequence was, this is a strange scene; the ability to alter an entire planet in that way seems contrary to continuity, considering the events of The Wrath of Khan. A throwaway line from Stamets remarking on how the spore-powered terraforming process could be a precursor to the Genesis device we see in The Wrath of Khan would have been welcome. As it stands, the events of “The War Without, the War Within” seem to contradict Carol Marcus’ work in that movie. In any case, this episode seemed to function more as a prelude to the season finale, with a smattering of intriguing character moments sprinkled throughout. 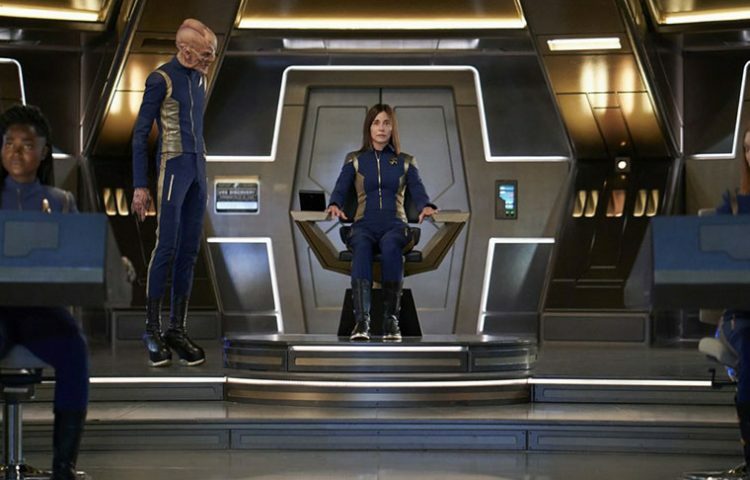 It isn’t surprising that Discovery had to slow down after the events of the Mirror Universe arc, but it’s because we are so used to an energetic pace that this episode seemed to standout as one of Discovery‘s weakest. “The War Without, the War Within” will most likely be remembered as a setup to the season finale rather than a fantastic episode in its own right. 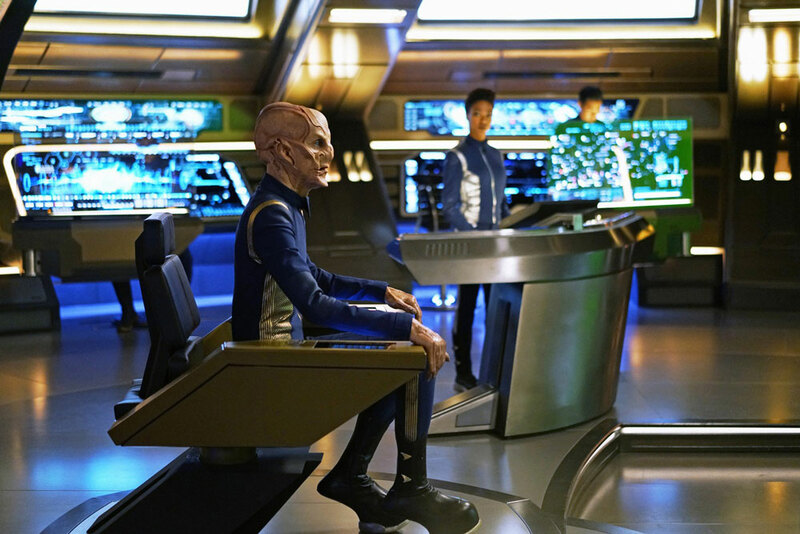 What did you think of the latest episode of Discovery? Let us know in the comments below.